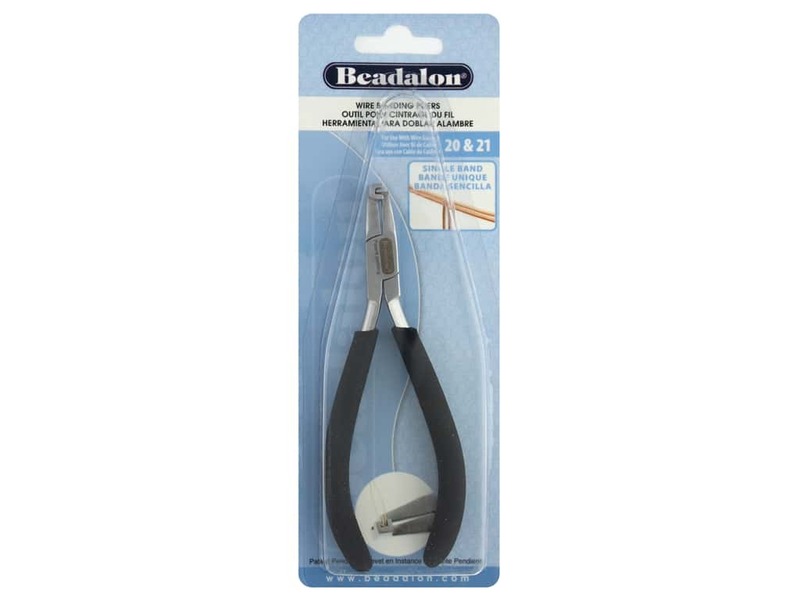 Description: Find the perfect Beadalon Tool for your jewelry crafting. Made to hold, shape, twist, cut and more, you'll find the comfortable design and quality construction in every tool. Pliers Wire Banding 20 & 21 Ga Single Band- These pliers create the perfect right angle bend on 20 and 21 gauge wire. The right angle bend in either square wire or half round wire fits the corresponding square wire , making the first binding wrap very tight and secure. This bend reduces the time needed to create professional wire wrapping and stone setting. Each end of the T-shaped head fits a different gauge.